Many companies claim to be making an effort to build diverse workforces, and while those initiatives are admirable, they often focus on gender, ethnic and racial background and ignore people with disabilities. A 2013 study by the Centers for Disease Control and Prevention found 22.2 percent of U.S. adults have some kind of disability. Hiring people with disabilities results in the same benefits to employers as hiring people from other target groups. Moreover, people with disabilities represent a potentially valuable market of customers. Research firm Return on Disability, in a report titled “The Global Economics of Disability,” demonstrates that engaging with the disability market as customers can lead to both increased revenue and decreased costs. And you should have more success targeting that market if your workforce itself includes people with disabilities. Yet according to the U.S. Department of Labor’s Office of Disability Employment Policy, the workforce participation of people with disabilities is a mere 20.9 percent (in other words, just one in five people with disabilities who are 16 and older are in the workforce). Compare that to the 68.3 percent — over two thirds — of adults without disabilities who are employed. Companies aren’t providing inclusive, accessible opportunities for people with disabilities, despite the fact that workers with disabilities on average have higher retention rates, less absenteeism and other advantages, according to a report from CPRF, an organization that helps people with disabilities achieve employment goals. By disregarding this group of potential workers instead of providing the right tools to attract and retain them, companies are missing out on an opportunity to further enhance their diversity. Teams of people with different backgrounds and experiences tend to be more innovative. Diverse companies project a more inclusive image to their customers. They’re also better able to connect with and meet the needs of specific market groups. Diversity increases internal morale, and employees prefer a diverse workplace. In a 2014 Glassdoor survey, two-thirds of the respondents who were active or passive job seekers said that they agree that “a diverse workforce is an important factor when evaluating companies and job offers.” In the same survey, 57 percent of the respondents who were currently employed said they think their companies should be doing more to increase the diversity of their staffs. Companies should be striving to create positive experiences for job seekers and employees with disabilities, just as they do for members of other diverse groups. Let’s look at three key ways organizations can improve the experiences of candidates and employees with disabilities. They described some of the barriers they encountered, including videos without captions, images without text alternatives, and applications that could only be filled out using a mouse. These job seekers also frequently found barriers in the pre-employment tests they were required to complete, the social media platforms where they tried to get more information about a posting, and even in the so-called “technical assistance” provided by the employer. Companies should ensure that their job application process is inclusive of candidates with disabilities. Offering assistive technology on your website at no cost to candidates who need it sends a clear message: Your organization values diversity and is actively working to recruit individuals with disabilities. Additionally, online application tools should comply with digital accessibility standards and regulations, while following the technical requirements of the Web Content Accessibility Guidelines (WCAG). Many (but not all) people with disabilities require accommodations in order to reach their full potential on the job and have a fulfilling employee experience. Workplace accommodations are adaptations, equipment or technologies that enable employees to perform the duties of their jobs. Improved lighting, ergonomic chairs and wheelchair ramps are all examples of accommodations. So is assistive technology. Screen-reading software allows people who are blind to have all the words on a computer screen dictated to them. For people with physical disabilities, tools such as voice recognition, hands-free navigation and keyboard alternatives can allow them to control various functions without using their hands. Companies that aren’t accustomed to providing accommodations may expect them to be expensive, but typically they’re not. An ongoing study by The Job Accommodation Network (JAN), a consulting group on disability employment issues, reports that 59 percent of accommodations don’t cost anything. (Adjusting work hours is an example of a job accommodation that costs nothing.) Of those accommodations that do have a price tag attached to them, it’s typically around $500. JAN’s research also reveals that employers who provided workplace accommodations saw better morale and higher productivity, and costs of training and workers’ compensation were reduced. Even in 2018, there are persistent negative attitudes or stereotypes that can deprive people with disabilities of the opportunity to work. 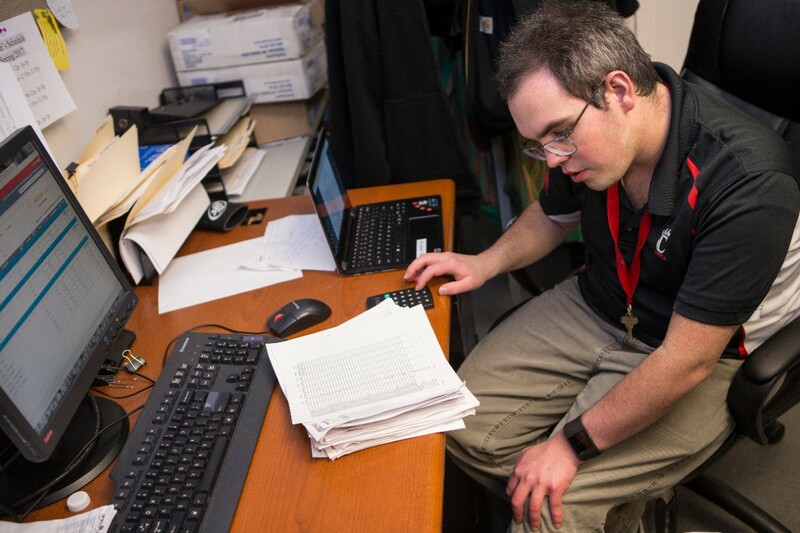 Employers may believe people with disabilities are somehow less capable, less qualified or less productive, or that they’ll be costly to support in the workplace. A company that conveys a non-inclusive attitude during recruitment will certainly convince any applicants with disabilities that it isn’t the place for them. Companies should ensure that their diversity and inclusion policies specifically mention disabilities. Such policies should be easy for job seekers with disabilities to find on company websites. There should be an employee resource group dedicated to supporting and advocating for workers with disabilities. If necessary, employers can have employees undergo disability sensitivity training, or work with disability-focused consulting firms that can support their efforts to create a more inclusive atmosphere in the workplace. Remember, under federal regulations, large companies that do government contract work may be obligated to invite job applicants and employees to self-identify as having a disability. People will only feel comfortable doing so in an environment that feels inclusive and welcoming and celebrates diversity — and does not leave disability out of its diversity conversations. Improving your company’s digital accessibility is a sensible place to start if you want to improve the experiences of candidates and employees with disabilities — you can’t find, interview and hire candidates with disabilities if your website prevents them from applying. The first steps are to determine your current level of accessibility, and to craft an accessibility statement that outlines your commitment to making digital properties inclusive and disability-friendly. Featuring assistive technology communication supports in a prominent location on your organization’s home page and on other digital properties makes a bold statement of your commitment to getting on the path to accessibility. The evaluation and remediation process takes time, so giving people with physical disabilities the tools they need to engage with you is a great way to showcase your commitment to enhancing the digital customer experience for all. Organizations looking to create digital accessibility programs will need to consider conducting a combination of automated, manual and functional tests to identify the barriers faced by individuals who rely on assistive technologies to navigate their websites and other digital properties. This can either be done in-house or with a qualified third-party firm that has testers with disabilities. PDF remediation, multimedia accessibility and training are other essential components of such a program. It’s also imperative to monitor your digital properties on an ongoing basis to ensure that you continue to meet your legal obligations and that your digital content will be usable by as many people as possible. This may include progression testing, which should be conducted at least every six months. When you make an effort to go beyond minimum requirements specified in current regulations and standards and create a better experience for job applicants and employees with disabilities (from welcoming digital properties to inclusive policies) your company diversity becomes richer — and so, very often, does your bottom line. « Do You Feel Undervalued at Work? Here’s What You Should Do.